State prosecutors have defended the police’s failure to videotape a raid in which a pistol and three bullets were discovered in the ex-defence minister Mohamed Nazim’s apartment. The retired colonel was sentenced to 11 years in jail on weapons smuggling charges. He maintains he was framed by rogue police officers, and has taken up the police’s failure to follow standard operating procedures as a key argument in an ongoing appeal at the High Court. “The criminal court’s judgment that said police are not required to follow the standard operation procedure is lawful. These procedures set up by the police are subject to change at any time. These procedures are always changing,” he said. Police officers, who had provided anonymous testimony at the criminal court, admitted they did not videotape the raid as required, and provided conflicting testimony on how and when mandatory photographs were taken. Nazim also claims officers did not provide him with a copy of the search warrant when SWAT officers first entered his house. His lawyers have alleged several lapses in due process, including the criminal court’s refusal to call defence witnesses and failure to allow Nazim to mount a proper defense. The ex-defence minister maintains that the weapons were planted on the orders of tourism minister Ahmed Adeeb after the pair fell-out over Adeeb’s alleged use of SWAT officers to commit criminal activities. Adeeb has denied the claims. 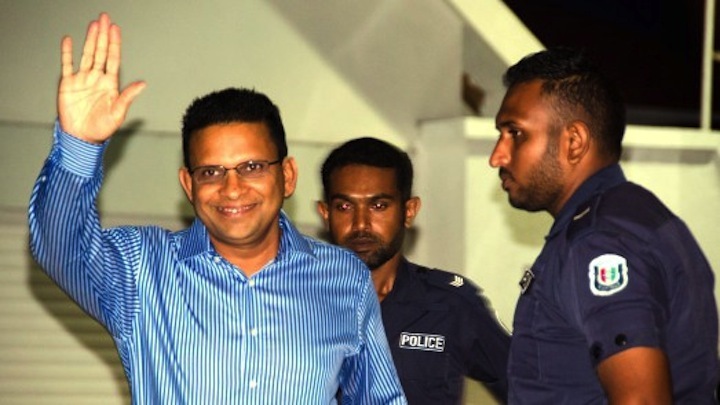 Nazim’s lawyers told the High Court yesterday that the criminal court had blocked him from mounting a proper defense by refusing to call defence witnesses and blocking defence lawyers from cross-examining state witnesses. They have also alleged state prosecutors coached witnesses, and said discrepancies in police testimony indicate that police officers had lied under oath. Responding to Nazim’s arguments today, Arif denied irregularities including that of witness coaching, and insisted that Nazim was allowed to defend himself. “Interviewing witnesses” before court appearances are done in many democratic countries, Arif said. He admitted to discrepancies in witness statements, but said the contradictions were not serious enough to undermine the whole case. “The state provided enough evidence which proved the case at the lower court. We proved that weapons were found at his house. If Nazim cannot prove how the weapons came to be there then it can either be that he smuggled the weapons or made the weapons,” Arif said. At the criminal court, Nazim had attempted to argue that the 9mm Browning pistol had belonged to a Special Protection Group Corporal, who had lost it at Shangri-La resort in 2014. When the military promptly dismissed the claim, the criminal court refused to call defence witnesses. The court also refused to call witnesses to testify to the fall-out between Nazim and Adeeb, and to prove the police’s SWAT team had committed criminal offences before. Along with the weapons, police said they had discovered a pen drive containing documents detailing a plot to assassinate President Abdulla Yameen. Nazim’s lawyers have also questioned the validity of the documents. Judges Abdul Ganee, Abdulla Hameed, Shuaib Hussain Zakariyya, Abbas Shareef and Abdul Rauf Ibrahim are overseeing Nazim’s appeal. 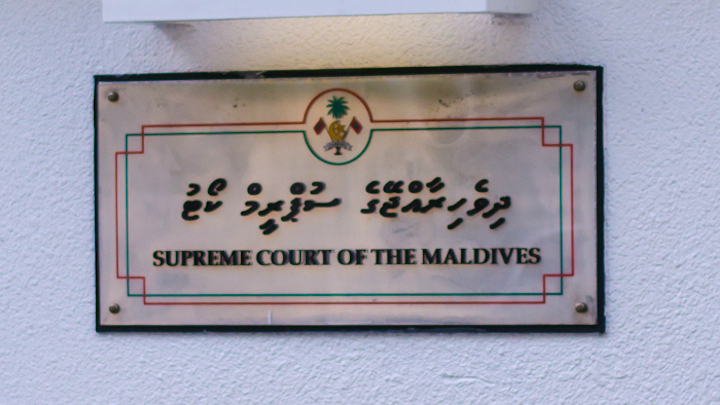 Two judges who oversaw Nazim’s trial, Abdulla Didi and Sujau Usman, were promoted to the High Court on June 8. Nazim’s trial also coincided with a terrorism trial against ex-president Mohamed Nasheed. The opposition leader was sentenced to 13 years in jail on March 13. He was tried by the same three judges who oversaw Nazim’s trial. The pair’s imprisonment has triggered a political crisis with daily protests from February through May, two mass demonstrations and hundreds of arrests. Foreign governments, international organizations including the UN, and civil society groups have criticised the trials for apparent lack of due process. President Yameen, however, insists he has no constitutional authority to release the pair and says they must exhaust all appeal processes. Nasheed’s lawyers were blocked from filing an appeal when the criminal court failed to issue the required case documents within a shortened 10-day appeal period. The former president was temporarily transferred to house arrest yesterday. Former defence minister Mohamed Nazim has appealed an 11-year jail term on weapons smuggling at the high court today. Nazim’s defence team said the criminal court had failed to provide a required report into court proceedings by the 2pm appeal deadline today. 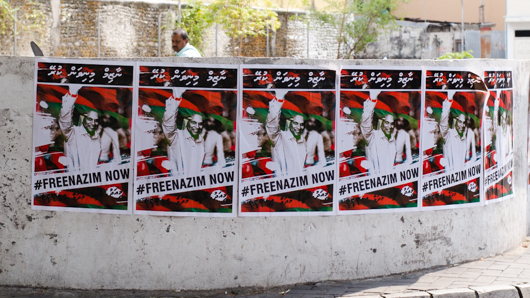 The US and UK have criticised Nazim’s trial for apparent lack of due process, and the opposition has been protesting daily for his release. Nazim’s lawyers said the criminal court’s failure to provide the case report “hampered” his right to appeal and that the new 10-day appeal deadline was too short to file an appeal. The Supreme Court had shortened the 90 day appeal period to 10 days in January. The retired colonel is currently in Singapore seeking emergency medical treatment unavailable in the Maldives. He left Malé on Friday with his wife. “Nazim said to let the public know he will not flee and will return as soon as his treatment is completed,” a family member said. Although inmates are usually allotted three months for overseas treatment, Nazim was only given 45 days. The home ministry authorised him to travel to Singapore only, despite the family saying Singapore was too expensive for medical care. The inmate’s families are usually required to bear expenses for overseas medical treatment. After a midnight police raid in January, officers said they had confiscated a pistol, bullets and a pen drive containing information that Nazim was plotting a coup d’etat and planning to harm the president, police commissioner and tourism minister. Nazim says the items were planted. He requested permission to travel overseas three weeks ago after his doctor advised him to undergo some tests unavailable in the Maldives. The family has declined to reveal details of Nazim’s medical condition, but said it needs to be monitored and treated. No prison guards will travel with him, but the correctional service and a guardian from the family will come to an agreement under which the guardian will be responsible for the inmate. The Criminal Court has found former Defence Minister Mohamed Nazim guilty of smuggling dangerous weapons and sentenced him to 11 years in jail. At a late night hearing on Thursday, the three-judge panel said Nazim had not been able to demonstrate how he had come to possess a pistol and three bullets found in his apartment during a police raid on January 18. The weapons did not belong to the state armoury and therefore must have been smuggled into the country, the judges said. Further, since the police had discovered the weapons at Nazim’s home in a raid conducted according to the law, they must be considered to belong to the former defence minister, judges concluded. Nazim’s defence team have maintained the pistol and three bullets were planted by rogue officers on the orders of Tourism Minister Ahmed Adeeb, after the pair fell out over Adeeb’s alleged use of police SWAT team for criminal activities. The Maldives Police Services and the Tourism Minister have denied the accusations as baseless and untrue. Speaking to reporters outside the courthouse, defence lawyer Maumoon Hameed said the three judges had not considered the defence’s arguments and said he would lodge an appeal at the High Court as soon as possible. The Criminal Court last week refused to call all but two of the 37 defence witnesses, claiming some were not relevant while others did not appear to negate the prosecution’s claims. Following the weapons discovery, Nazim was dismissed from the cabinet. He was then arrested on February 10 under additional charges of terrorism and treason. State prosecutors in court also claimed documents on a pen drive confiscated along with the weapons revealed that Nazim was plotting a coup d’etat and planning to harm President Abdulla Yameen, Commissioner of Police Hussein Waheed and the Tourism Minister. The documents were presented in a closed hearing, allegedly to demonstrate the former defence minister had a motive in smuggling the pistol. At a 4:oopm hearing on Thursday, state prosecutors and defence lawyers presented closing statements. State prosecutor Adam Arif said Nazim had admitted police discovered the weapons in his bedroom during a search carried out in his presence. Claiming Nazim had failed to explain who the weapons belonged to, Arif said he must be held responsible for the pistol and three bullets discovered under his roof. Tests carried out by Maldives National Defence Force (MNDF) proved the weapons were functioning and dangerous. Further, the MNDF had said the weapons did not come from the state armory, he said. Police officers had also testified the raid and search were conducted according to rules and regulations, he added. But referring to the Criminal Court’s refusal to call the majority of Nazim’s defence witnesses, defence lawyers contended the court had “obstructed” Nazim from mounting a proper defence. Lawyers claimed over 15 SWAT officers broke down the door to Nazim’s apartment on the night of the raid, barged into his bedroom in the dark, pointed a riot gun at his head and escorted him and his wife into the living room. SWAT officers then spent at least ten minutes unsupervised in the former Defence Minister’s bedroom, during which they planted the bag containing the pistol in a bedside drawer, lawyers suggested. Police testimony confirmed the search team had arrived approximately 15 minutes after the SWAT officers secured the premises, but state prosecutors had failed to explain the gap, lawyers argued. The defence team also contended police conduct of the raid and search was unlawful, arguing the resulting evidence was therefore inadmissible in a court of law. Lawyers said if the defence had been allowed to call its witnesses, it would have been possible to prove police spent time unsupervised in Nazim’s bedroom, and that SWAT officers were previously under investigation for criminal activities. They would also have been able to prove the pistol was in fact imported by the state for the protection of foreign dignitaries, they added. Lawyers urged judges not to accept the testimony of police officers, claiming they had lied in court. Lawyers pointed to what they called serious contradictions in testimony, as one claimed the search team had checked the ceiling and above a cupboard in the bedroom, while the others denied doing so. Some witnesses claimed secret information indicated the weapons were located on either the seventh or eight floor while others said it was just the eighth floor, lawyers said. The panel overseeing Nazim’s case are the same judges who sentenced former President Mohamed Nasheed to 13 years in jail on March 13.